Global architecture and engineering firm Ghafari Associates is excited to announce the completion of American Airlines’ Hangar 2 at Chicago O’Hare International Airport, the longest clear span, dual threshold airline hangar in the world. The new facility was unveiled at a grand opening celebration on January 25 attended by Mayor Rahm Emanuel, Ghafari team members, and over 200 officials, customers, employees, partners, and vendors. This entry was posted in American Airlines and tagged American Airlines, Chicago, Hangar 2, O'Hare, O'Hare International Airport, ORD on January 28, 2019 by Bruce Drum. 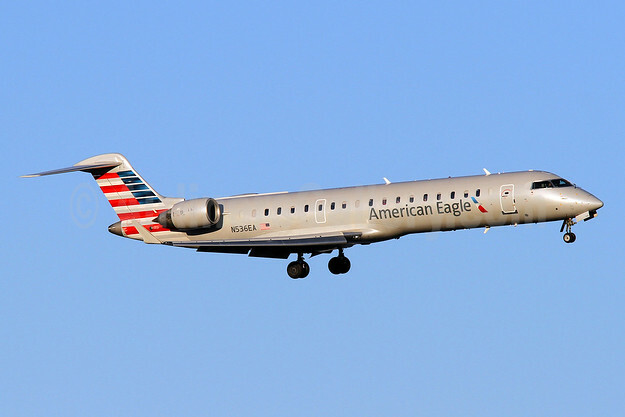 American Airlines (Dallas/Fort Worth) is adding American Eagle (operated by Envoy Air) Bombardier CRJ700 jet service from the Chicago (O’Hare) hub to Albany, New York starting on March 3, 2016. In other news, Mesa Airlines will expand American Eagle services from the Phoenix hub to Lubbock, Memphis, Midland/Odessa and Roswell starting on March 3, 2016 per Airline Route. Copyright Photo: Brian McDonough/AirlinersGallery.com. Envoy Air’s Bombardier CRJ700 (CL-600-2C10) N536EA (msn 10315) arrives in Washington at Reagan National Airport (DCA). 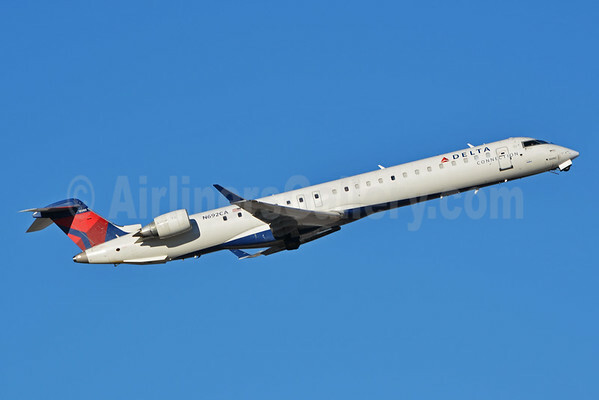 This entry was posted in American Airlines, American Eagle, Envoy Air (American Eagle), Mesa Airlines and tagged 10315, Albany, Albany New York, American Airlines, American Eagle, Bombardier, Bombardier CRJ700, Chicago, CL-600-2C10, CRJ700, Envoy Air, Mesa Airlines, N536EA, O'Hare, Phoenix on November 23, 2015 by Bruce Drum. 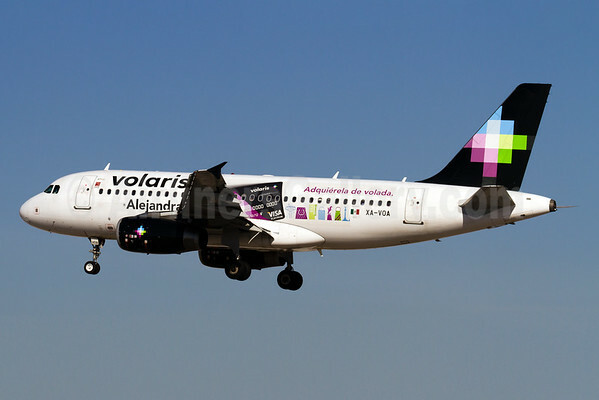 Volaris (Mexico City) has announced new international service between the city of Durango and Chicago’s Midway Airport, starting on December 8 with twice a week flights on Tuesdays and Saturdays. Departs Durango, Durango at 7:04 hrs., arrives Chicago, Illinois at 10:45 hrs. Departs Chicago, Illinois at 12:05 hrs., arrives Durango, Durango at 16:22 hrs. Copyright Photo: Arnd Wolf/AirlinersGallery.com. Airbus A319-133 XA-VOA (msn 2771) named “Alejandra” and in the VISA Platinum special livery arrives in Las Vegas. This entry was posted in Volaris and tagged 2771, A319, A319-100, A319-133, Airbus, Airbus A319, Airbus A319-100, Chicago, Durango Mexico, Midway, Volaris, XA-VOA on September 29, 2015 by Bruce Drum. 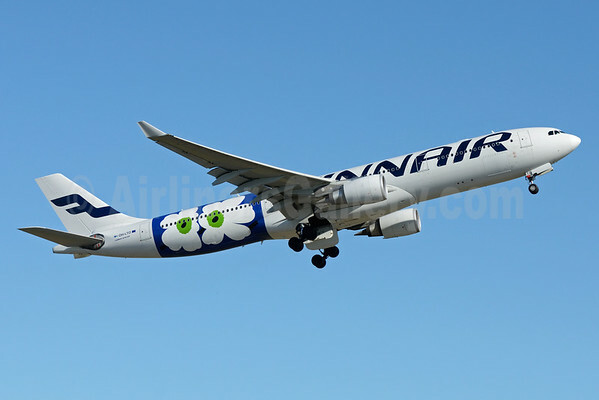 Finnair (Helsinki) has announced, starting in April 2016, it will extend its Miami service to be year-round, and will operate to Miami with three weekly frequencies in summer 2016. Finnair also adds frequencies to its Chicago service, increasing the weekly flights from three in summer 2015 to five in summer 2016. This will further improve connectivity beyond Chicago to American Airlines’ extensive network in the Americas. This five-weekly service connects well also to Finnair’s Asian network beyond Helsinki. Both destinations are served with Finnair Airbus A330 aircraft. The flights to Miami International Airport are operated on Mondays, Thursdays and Sundays, and the flights to Chicago O’Hare are operated from Helsinki on Mondays, Thursdays, Fridays, Saturdays and Sundays. Finnair’s Chicago and Miami services are included in the joint business on transatlantic traffic with fellow oneworld alliance partners British Airways, Iberia, American Airlines and American’s merger partner US Airways. Miami and Chicago are hubs for American, which allows Finnair’s customers quick codeshare connections to destinations throughout the United States, including San Francisco and Los Angeles. The Miami and Chicago timetables connect well with passengers transferring to and from Finnair destinations in Scandinavia, Eastern Europe and the Baltics, including Stockholm, Tallinn, Riga, Vilnius, St Petersburg, Moscow and Warsaw as well as with Finnair’s Asian destinations, including Tokyo, Osaka, Nagoya, Seoul, Chongqing, Xi’an, Beijing, Shanghai, Delhi and Bangkok. In addition to Miami and Chicago, Finnair operates daily to New York JFK and, together with its joint business partners, offers over 120 daily departures over the Atlantic. Copyright Photo: OSDU/AirlinersGallery.com. Airbus A330-302 OH-LTO (msn 1013) in the special Unikko (poppy) color scheme departs from the Helsinki (HEL) hub. This entry was posted in Finnair and tagged 1013, A330, A330-300, A330-302, Airbus, Airbus A330, Airbus A330-300, Chicago, Finnair, HEL, Helsinki, Marimekko, Miami, O'Hare, OH-LTO, poppy, Unikko on September 25, 2015 by Bruce Drum. United Airlines (Chicago) is adding three new routes this winter from its Chicago O’Hare hub. According to Airline Route, the carrier will add daily United Express service to Kalamazoo on December 9 and winter seasonal United Express service to Tucson on December 17 followed by weekend mainline Boeing 737 service to Vail/Eagle, Colorado (ski destination) on December 19. 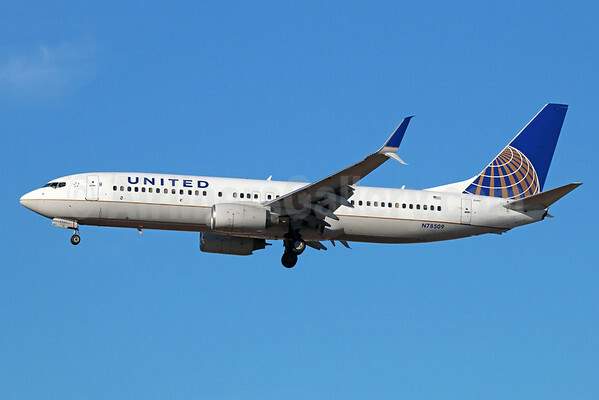 In addition, United is adding weekly Boeing 737-800 (Saturday only) seasonal service to the Caribbean island of St. Kitts from its Newark hub on December 19. Copyright Photo: Michael B. Ing/AirlinersGallery.com. United Airlines’ Boeing 737-824 N78509 (msn 31638) with Split Scimitar Winglets arrives at Los Angeles International Airport. This entry was posted in United Airlines and tagged 31638, 737, 737-800, 737-824, Boeing, Boeing 737, Boeing 737-800, Chicago, Kalamazoo, LAX, Los Angeles, N78509, Newark, O'Hare, seasonal service, St. Kitts, Tucson, United Airlines, United Express, Vail/Eagle on August 10, 2015 by Bruce Drum. American Airlines (Dallas/Fort Worth) is adding winter seasonal flights from its hubs. From Charlotte, the company will add weekly Airbus A319 service to both Curacao, Netherlands Antilles and Puerto Plata, Dominican Republic starting on December 19 per Airline Route. From Chicago (O’Hare), the airline will add weekly Boeing 737-800 service also to Punta Cana also starting on December 19. American Airlines plans to add eight new routes throughout Mexico, the Caribbean and Latin America later this year, further strengthening its position in these key regions and providing customers with increased options when traveling to these destinations. Expanded service includes new flights to Mexico City International Airport (MEX); General Rafael Buelna International Airport (MZT) in Mazatlan, Mexico; Curacao International Airport (CUR); Sangster International Airport (MBJ) in Montego Bay, Jamaica; Punta Cana International Airport (PUJ); Gregorio Luperon International Airport (POP) in Puerto Plata, Dominican Republic; and Mariscal Sucre International Airport (UIO) in Quito, Ecuador, pending regulatory approvals. 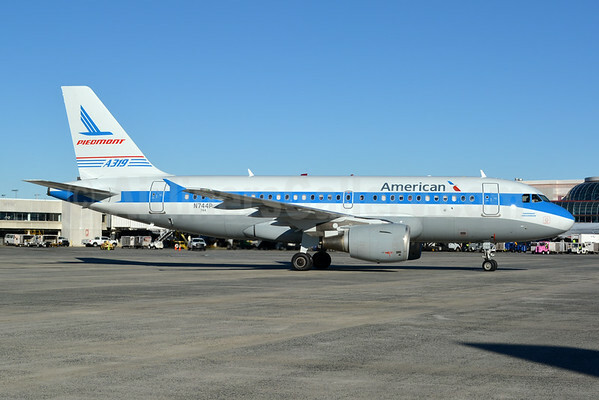 American also plans to reinstate its service between New York’s John F. Kennedy Airport (JFK) and Simon Bolívar International Airport (CCS) in Caracas, Venezuela, on December 17. Flights will operate five times per week with Boeing 757-200 aircraft. Copyright Photo: Jay Selman/AirlinersGallery.com. Airbus A319-112 N744P (msn 1287) in the legacy Piedmont Airlines livery taxies to the gate at the Charlotte hub. This entry was posted in American Airlines and tagged 1287, A319, A319-100, A319-112, Airbus, Airbus A319, Airbus A319-100, American Airlines, Charlotte, Chicago, CLT, Curacao, Dallas/Fort Worth, Los Angeles, Montego Bay, N744P, O'Hare, Punta Cana on July 13, 2015 by Bruce Drum.